Following are the number of years of experience according to position. √ Junior engineers are specially fresher and work under software engineers. √ Software engineers have around 1 to 2 years of experience. Interviewer expects software engineers to be technically at a medium level. √ Senior Software Engineers have around 2 to 4 years of experience. Interviewer expects them to technically be very strong. 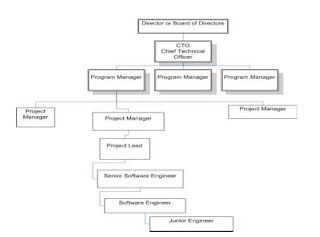 √ Project leads should handle majority technical aspect of project and should have around 4 to 8 years of experience. They are also indirect architect of the project. Interviewer expects them to be technically strong and in terms of architecture to be decent. Interviewer also expects them to have people management skills. √ Project Manager are expected to be around 40% technically strong and should have experience above 10 years plus. But they are more interviewed from aspect of project management, client interaction, people management, proposal preparation etc.